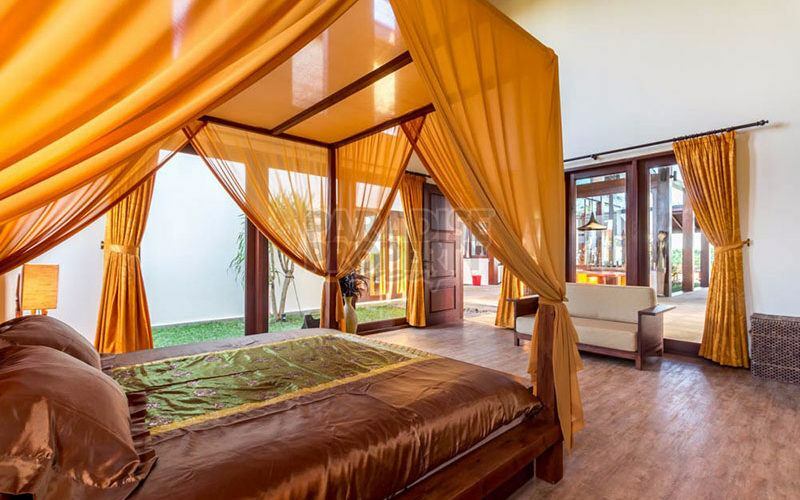 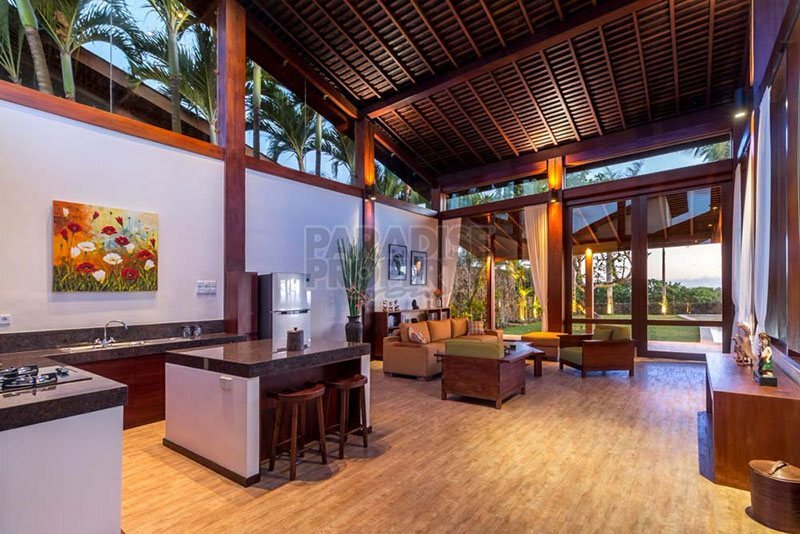 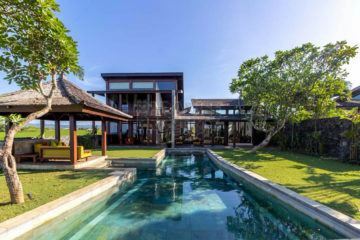 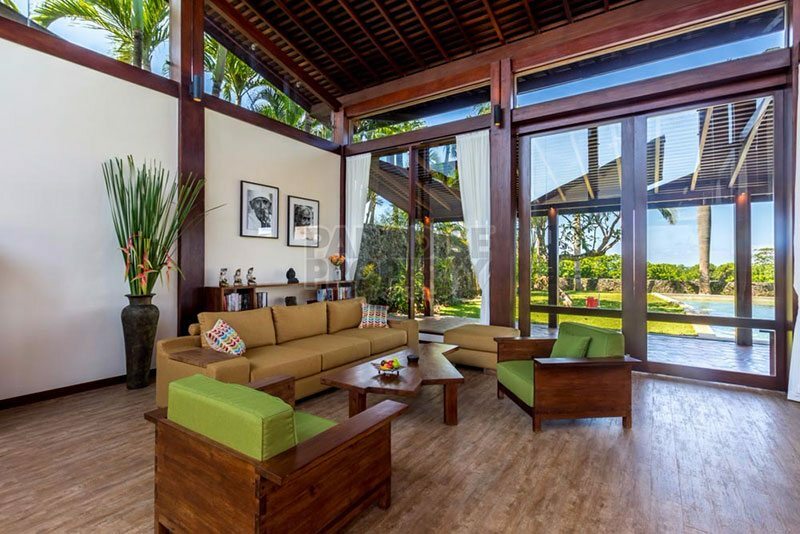 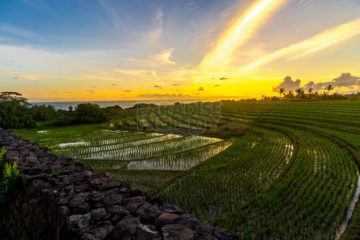 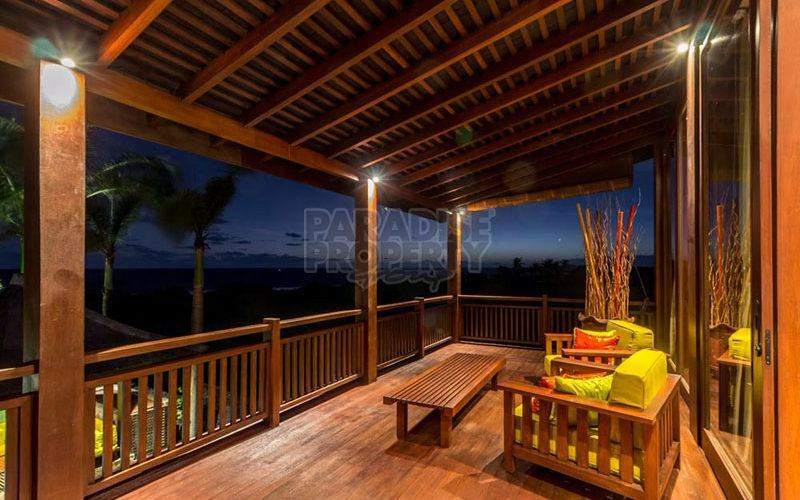 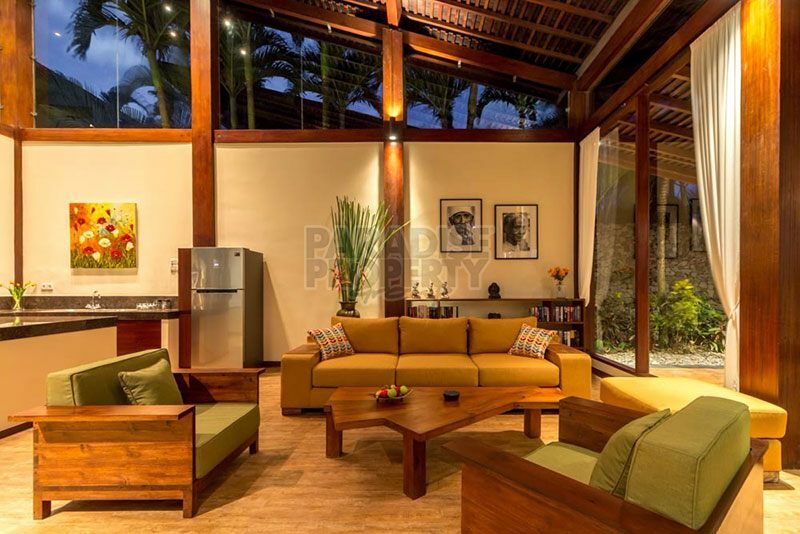 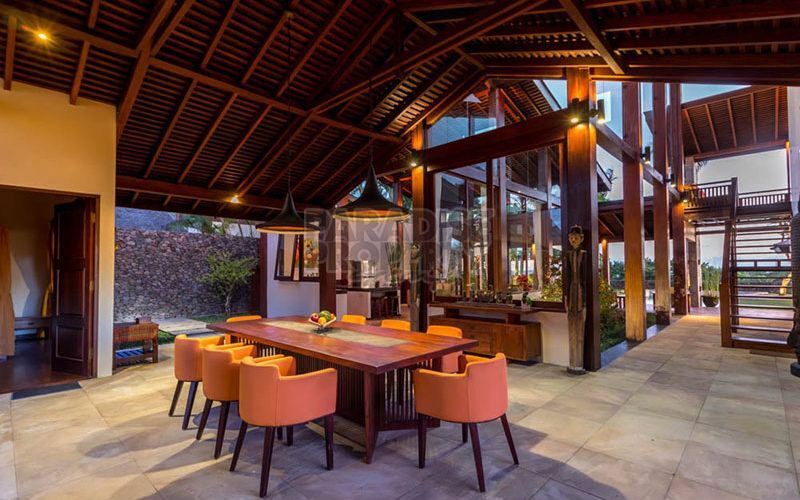 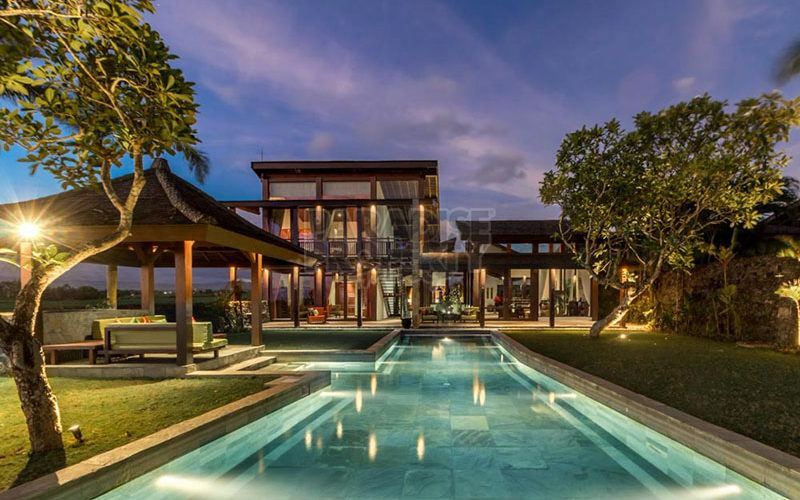 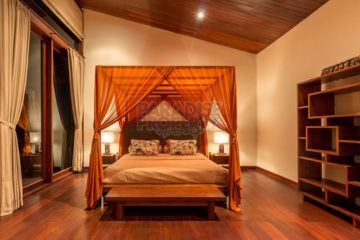 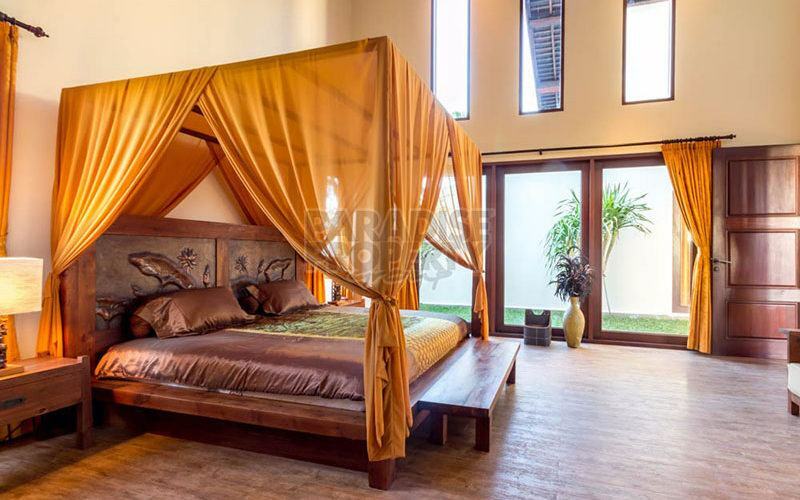 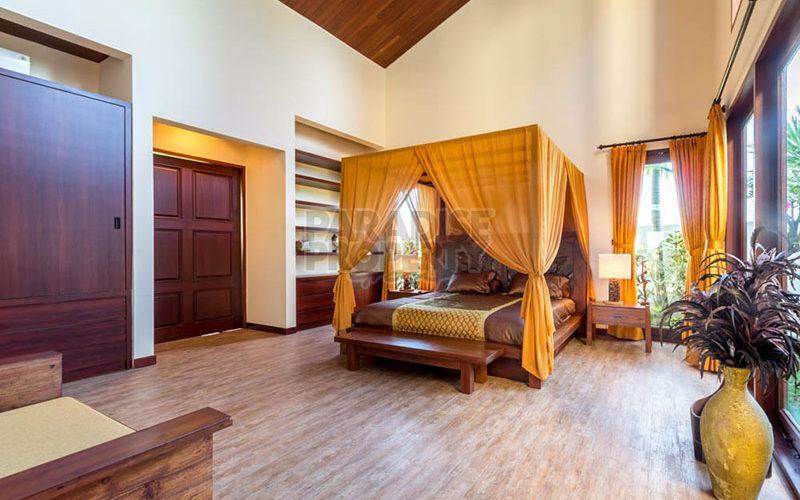 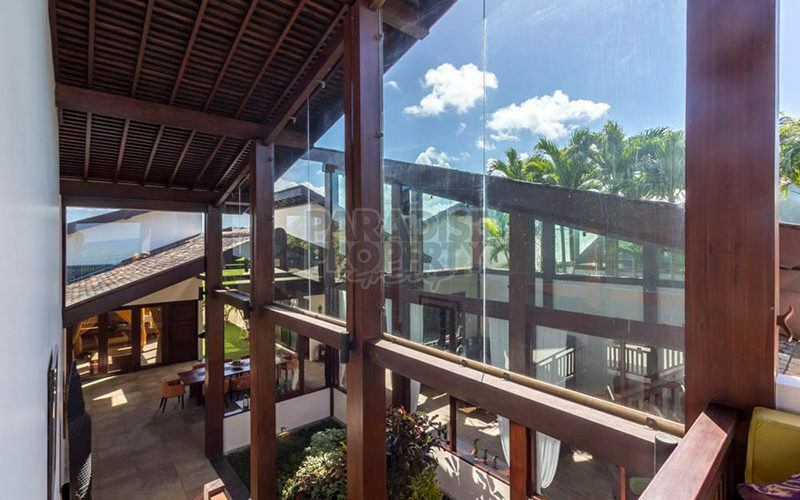 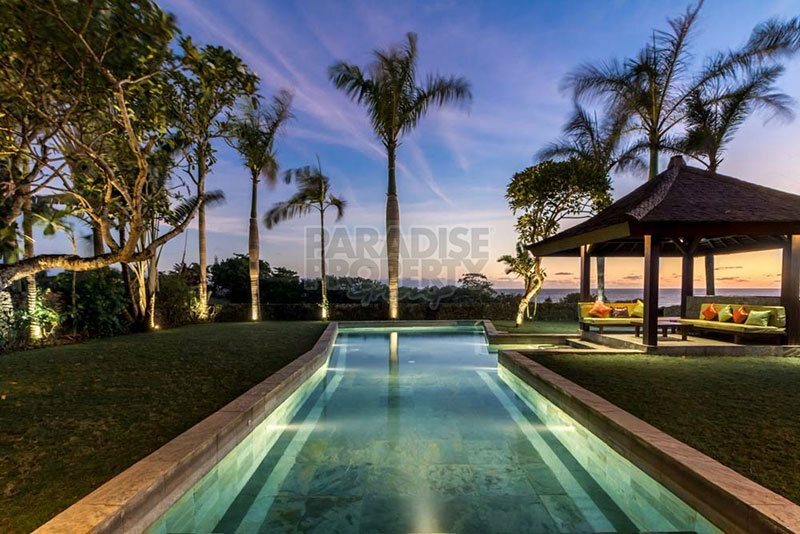 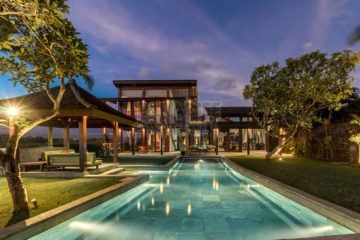 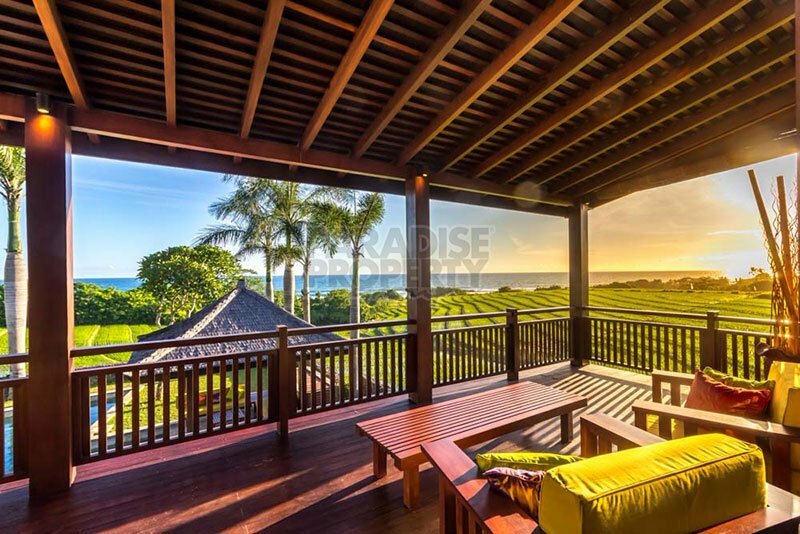 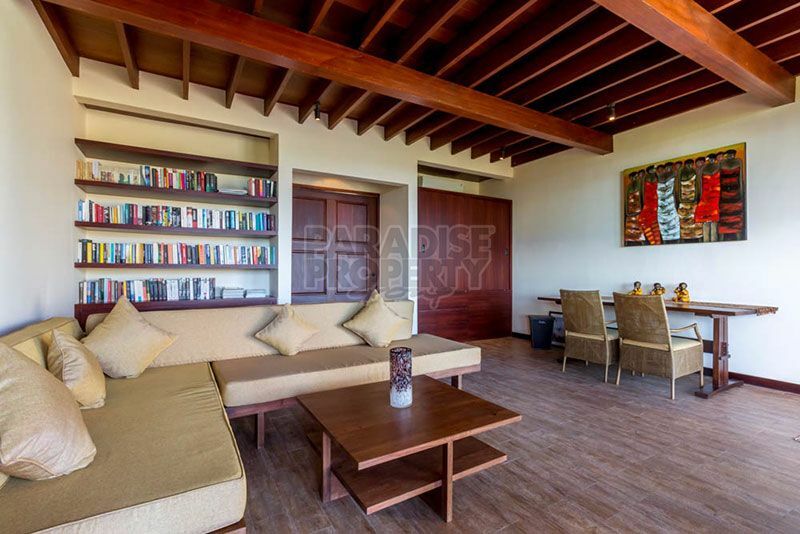 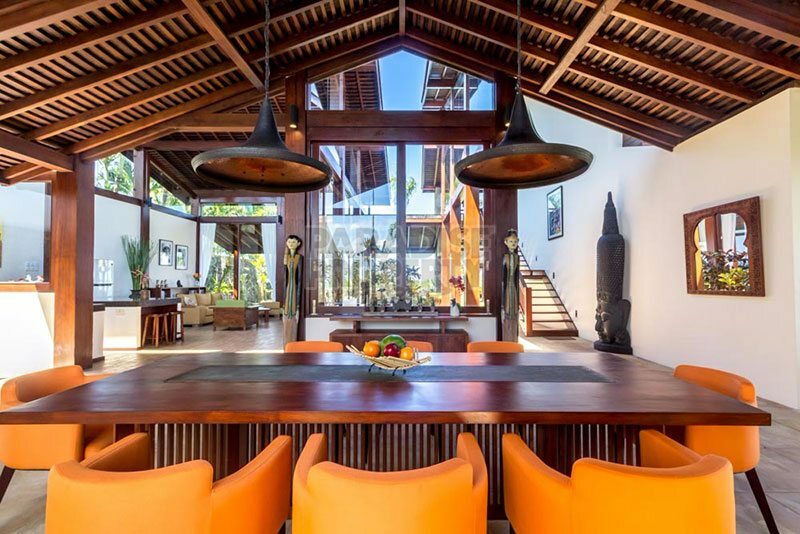 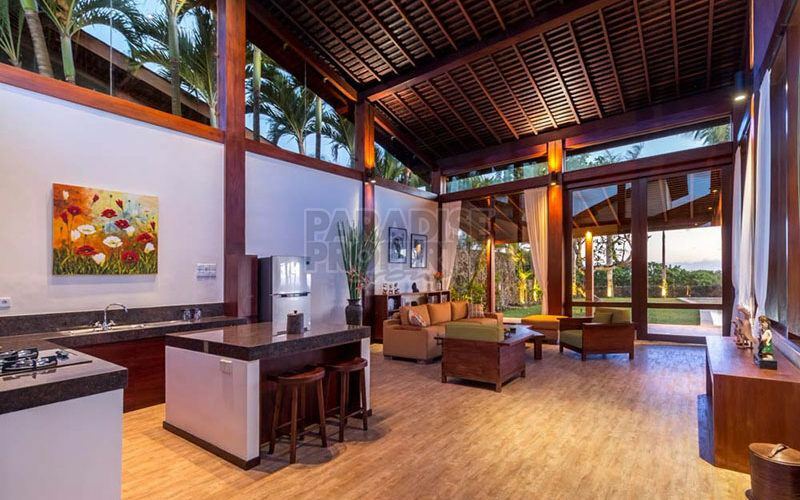 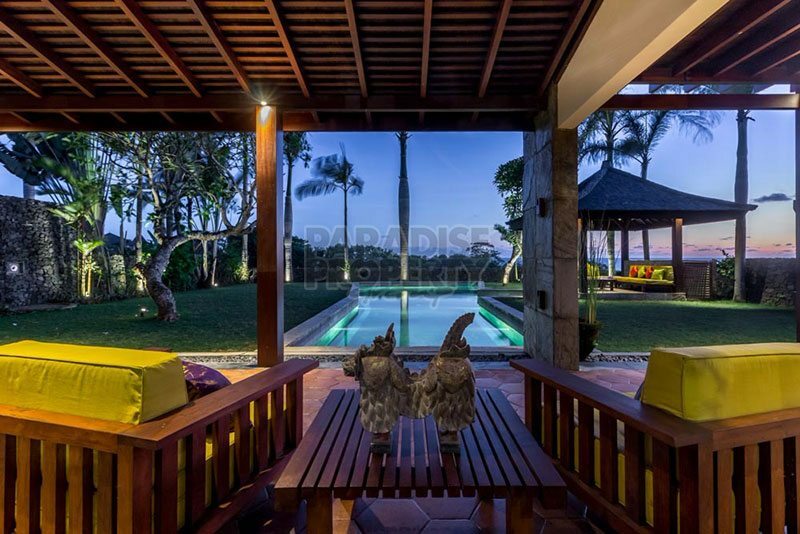 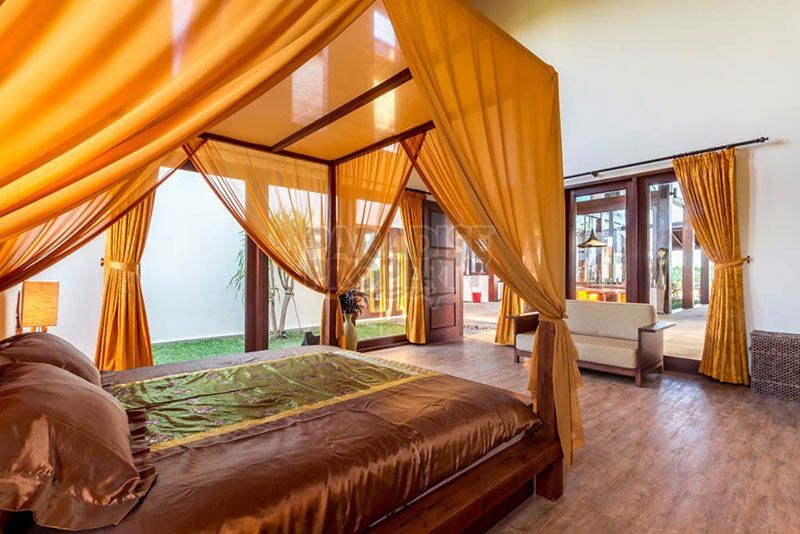 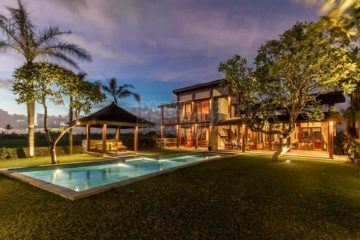 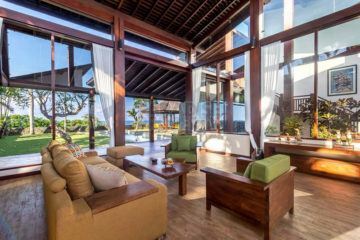 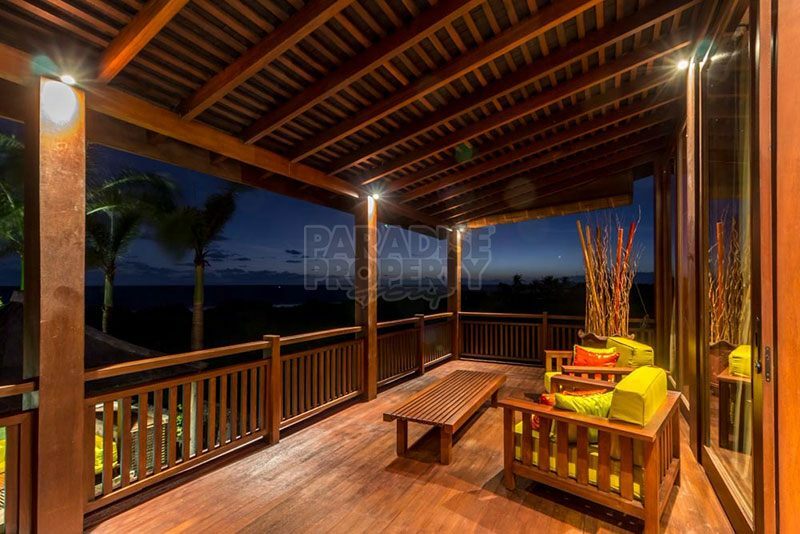 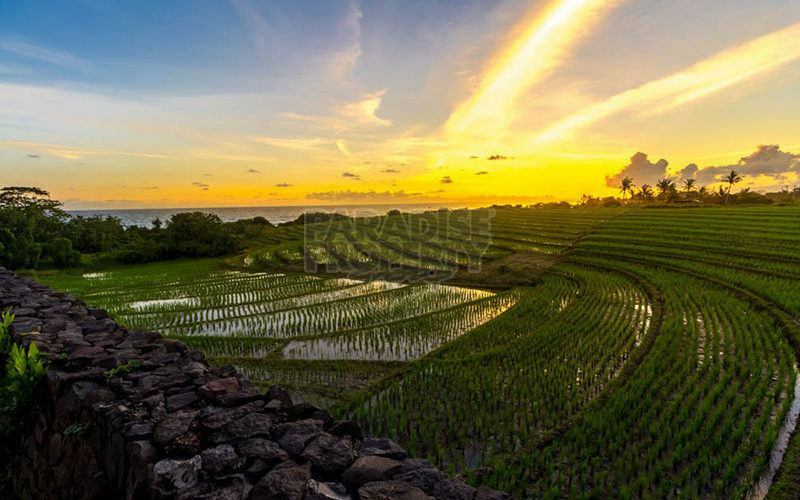 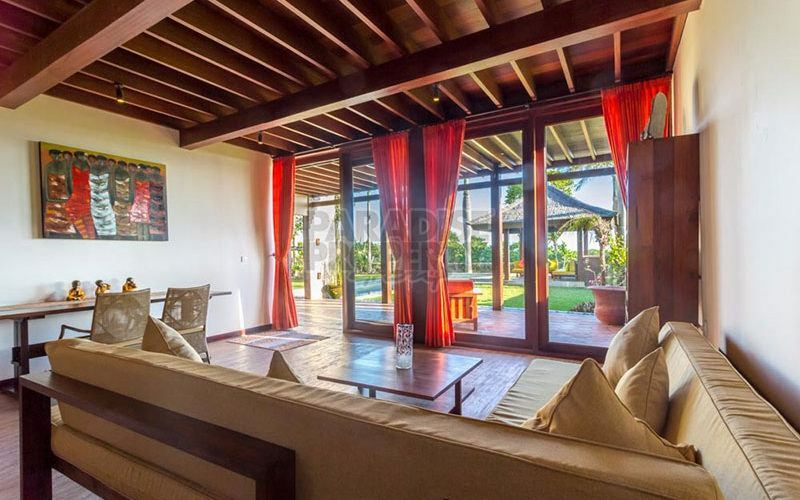 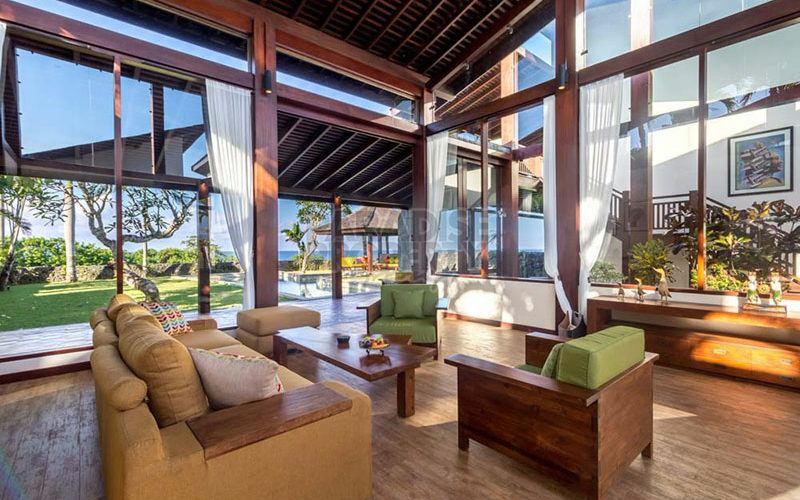 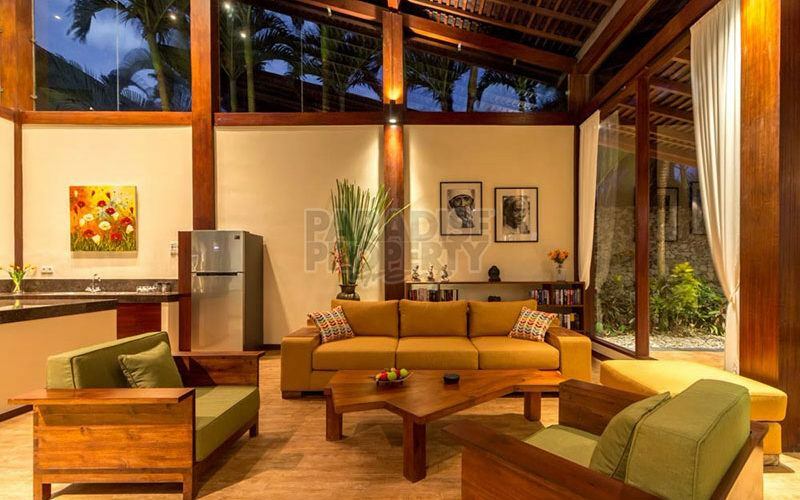 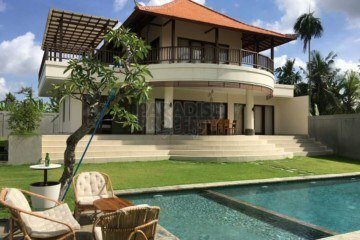 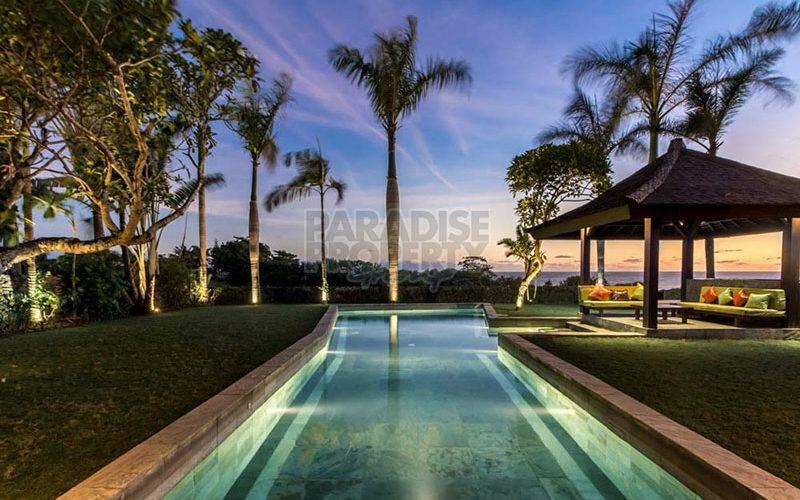 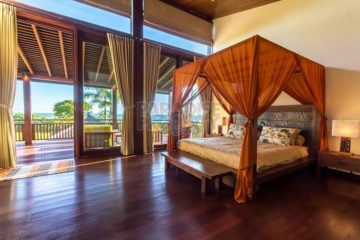 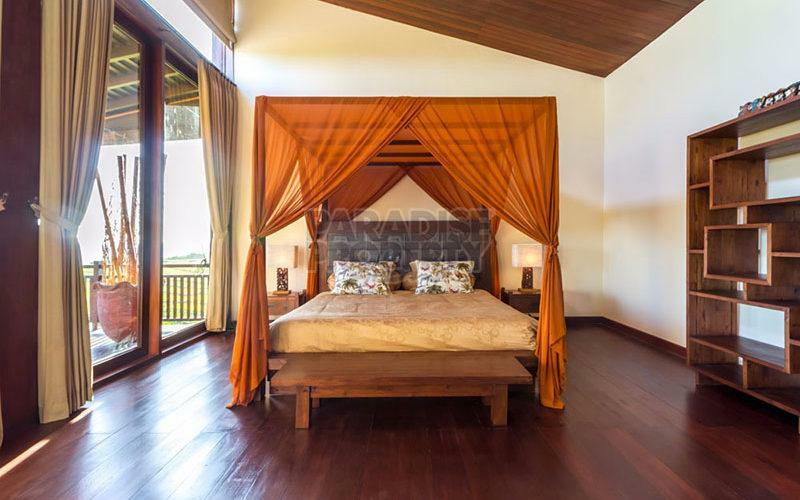 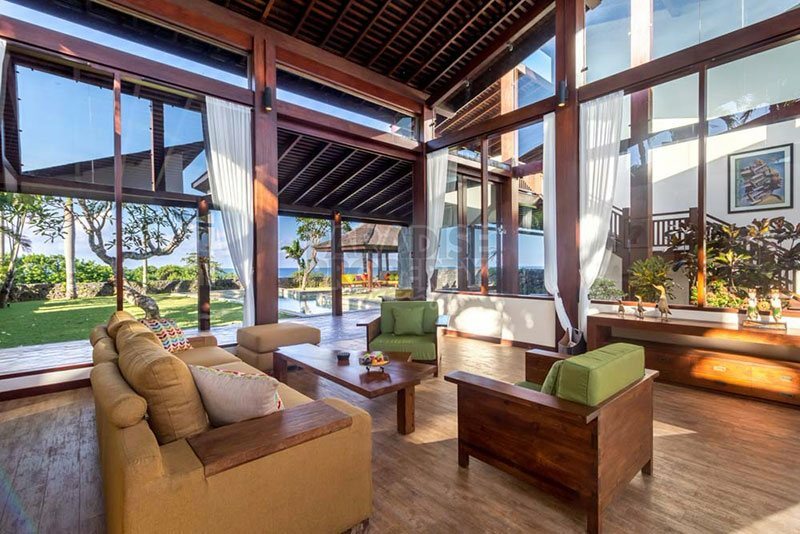 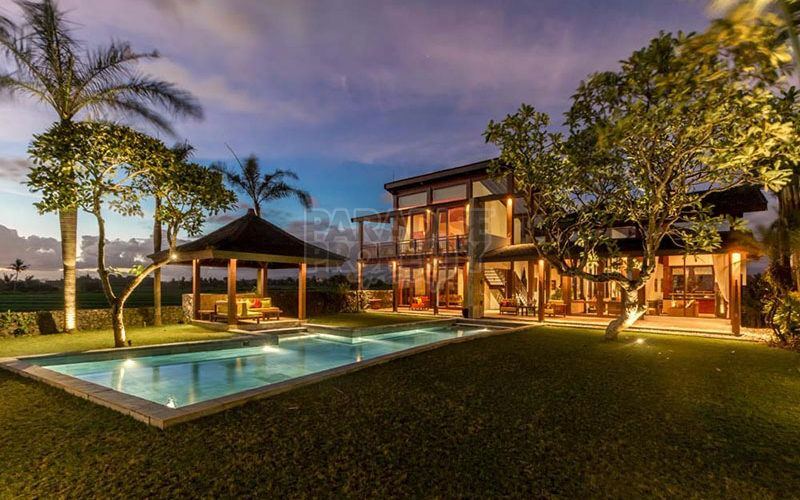 In what is most probably one of the most beautiful locations in Bali, you will find this absolutely unique, completely renovated Two unit 4 Bedroom villa complex, sitting just 200 meters from the Indian ocean with magnificent unblockable 270 degrees views of the Ocean, Rice fields and Mountains. 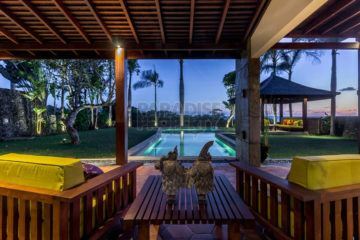 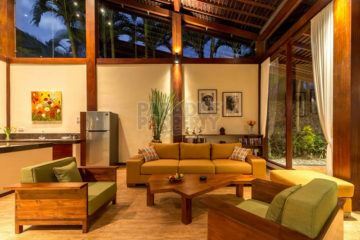 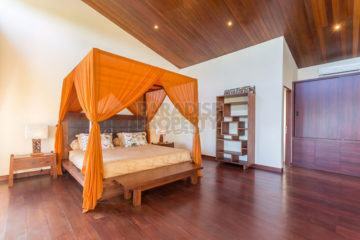 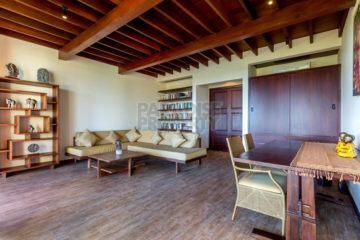 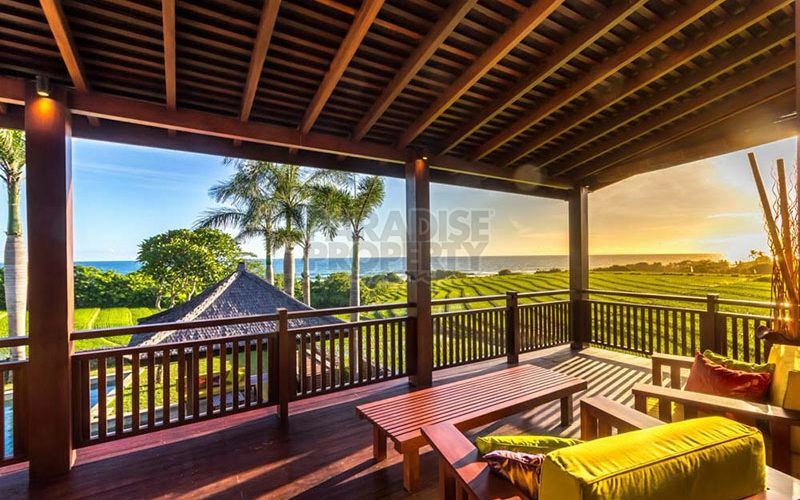 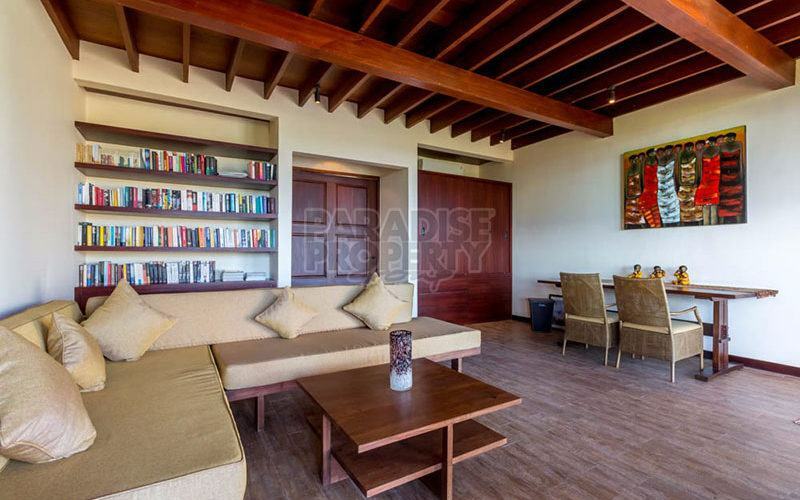 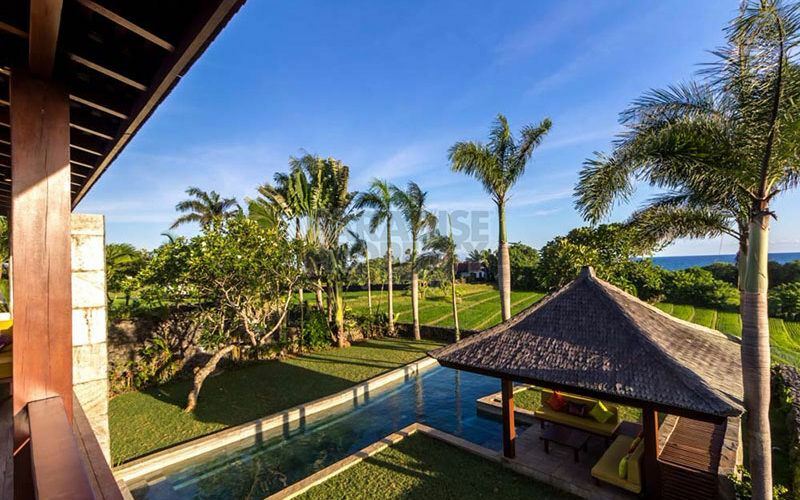 This location has been classed as an area of natural beauty and is just 40 to 45 minutes drive from Canggu. The villas were designed and built by an Australian architect and feature the highest quality materials throughout, including seventeen 30 x 30 cm wooden pillars that rise up to over 8 meters at the highest point. 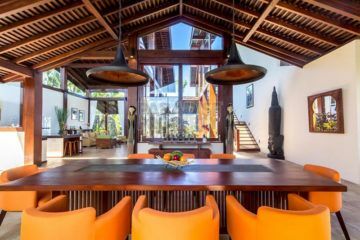 Each villa is made up of Four separate buildings smartly inter connected through the dining area, with Four Large en-suite bedrooms, ranging between 34m2 and 54m2 in size. 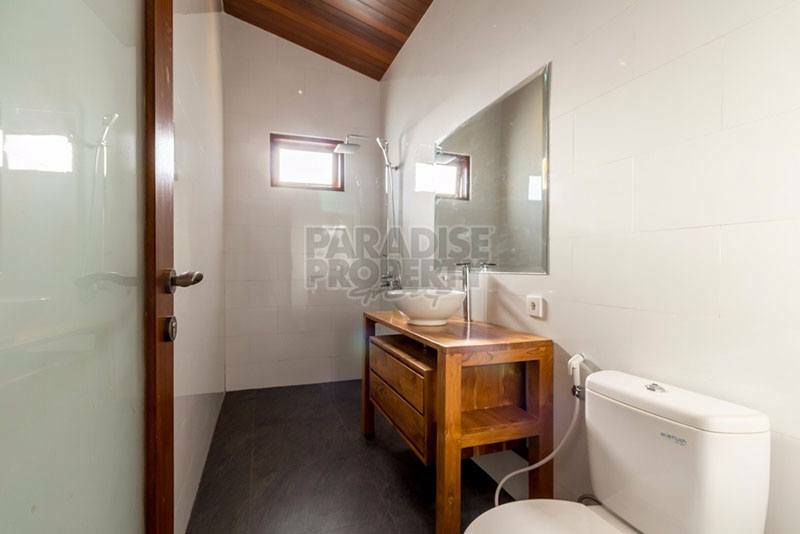 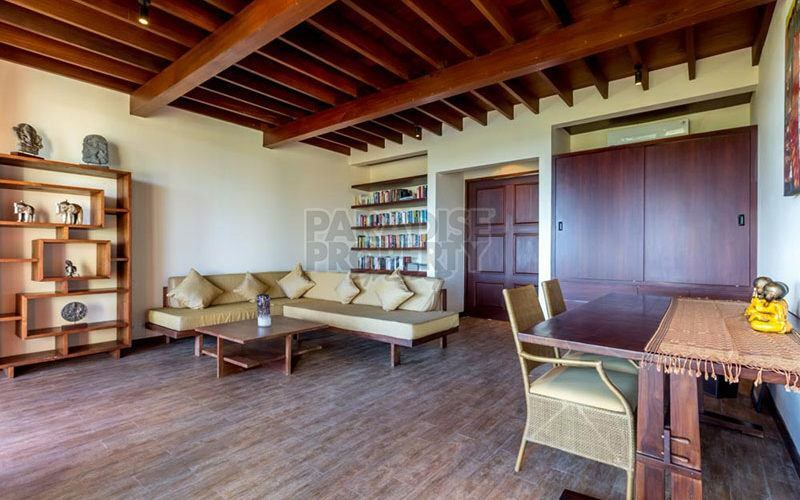 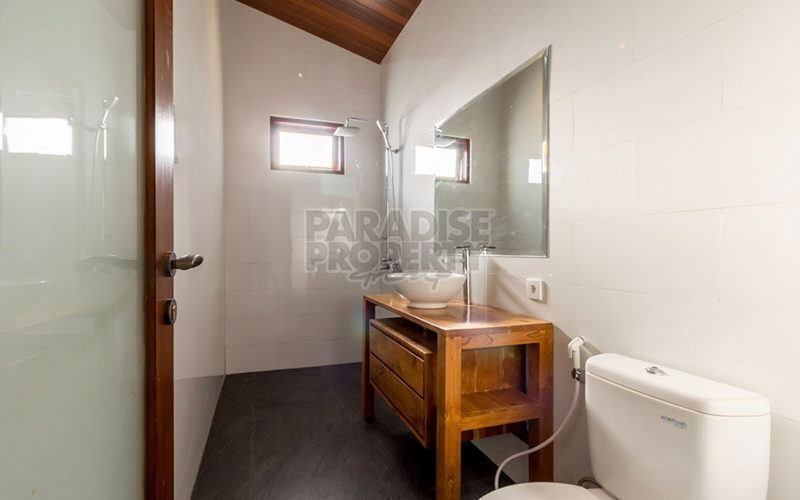 This beautiful property has just under=gone an extensive renovation to bring it to completely brand new condition including new floors, kitchen, air conditioning units, electricity rewiring and much more. 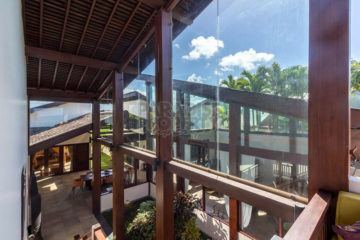 This property is in perfect condition and you will not be able to find any area that needs attention! 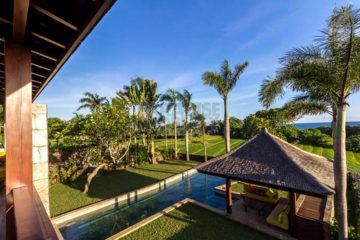 With most of the surrounding land owned by local investors, this is a very good opportunity for a smart investor, with the planned new toll road linking the new proposed international airport with the Trump 6 Star hotel, it will be less than 1km behind the villa and with lots of other infrastructure planned for this area there is a very real opportunity to experience huge capital appreciation. 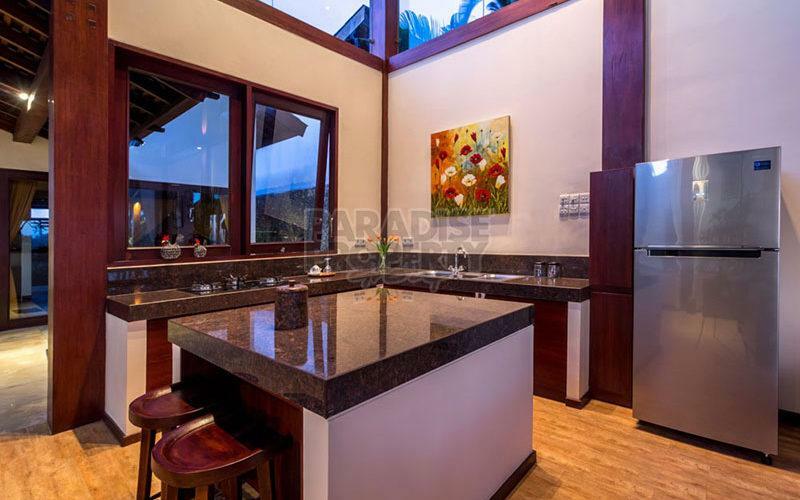 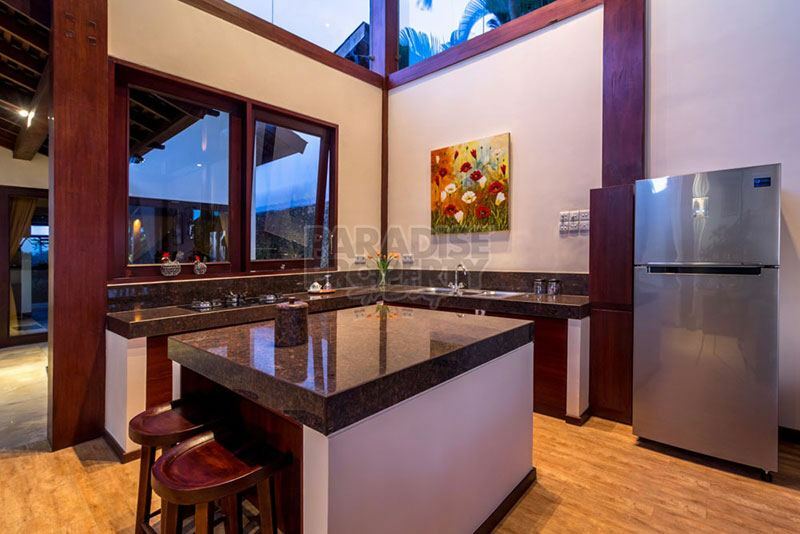 Located in a tourism zone it is also possible to obtain the Pondok Wisata (Rental License) which means you can generate a very healthy rental income and have a beautiful holiday home at the same time. 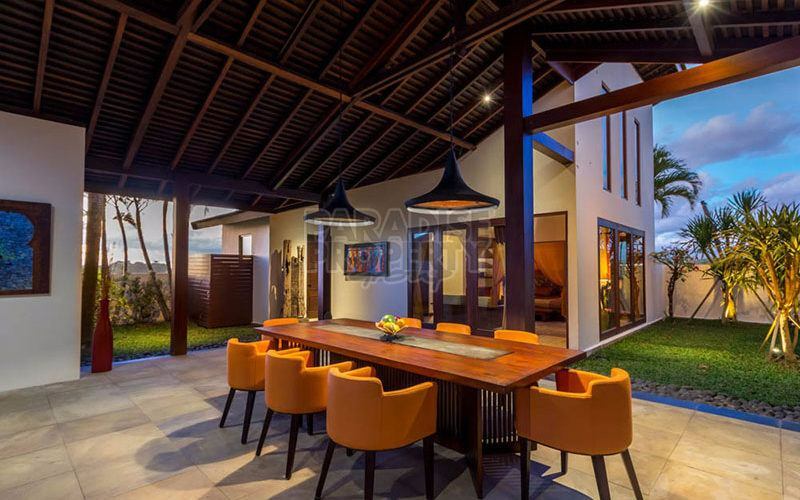 Or you can buy 2 villas with a HUGE discount of IDR 3 Billion, giving you a total price for both villas either to purchase with a Freehold title or 99 years Leasehold of the Indonesian Rupiah equivalent to US$995,000 at the time of publishing.